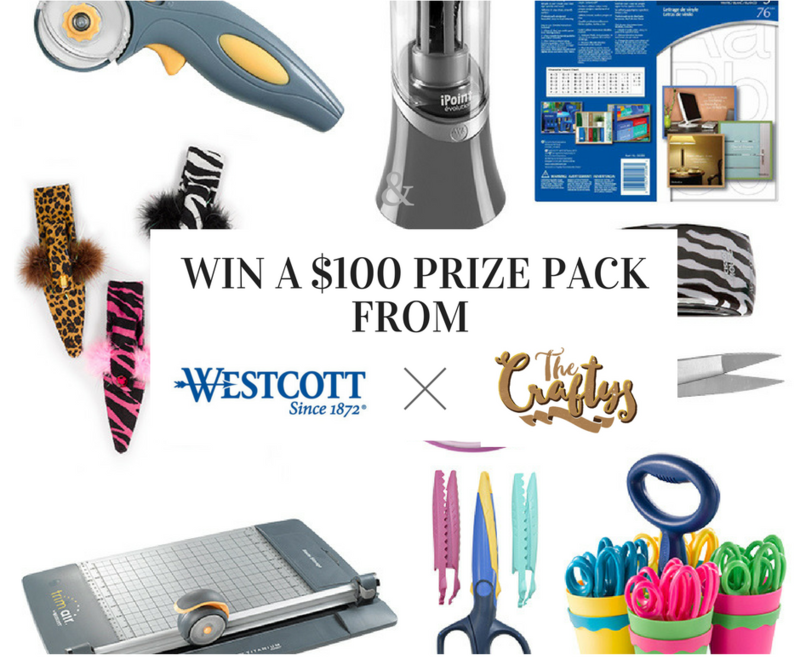 Paper crafters, Sewists, Duct Tape creators — and just anyone who appreciates a sharp scissor: Westcott Brand is teaming up with The Craftys to give away a prize pack to help you snip, cut and trim almost anything you could imagine. You have until January 21, 2017 to enter. If you’re having any problems entering The Craftys, you can email your entry to info@thecraftys.com. Duct tape was originally introduced during World War II as a way to make quick fixes like sealing dented canisters and repairing cracked windows. After the war came to an end, the color changed from green to gray and civilians started using it for repairing everything from attic holes to lawn mower engines. Now that companies like the Duck Brand have introduced the material in numerous colors and patterns, the tape is being used to make flowers, dresses, necklaces, wallets and more. We’re thrilled to be teaming with Duck to launch a new category for The Craftys: Duct Tape Crafts. We’d love to see prom dresses, tuxedos, purses, bracelets — any cool and beautiful thing you make with that ultra durable craft material. Plus, you can also enter to win $150 in Duck Tape, which is a lot of wallets and probably two to three dresses. You’re allowed to perform multiple actions and can tweet more than once about the giveaway. The contest closes on December 7, 2016. Once again, you have until Dec. 7, 2016 to win! Open only to U.S. residents. After entering, we’ll add you to The Craftys giveaway list so you can learn about upcoming giveaways! People craft for numerous reasons, but one of the biggest inspirations to make something is welcoming a new addition to the family. To celebrate those amazing things designed for small packages, The Craftys Awards and Red Heart Yarns are teaming up to launch a new category: Baby Crafts. We expect to see some impressive projects when The Craftys open nominations on November 14, 2016, from platform booties to locomotive cribs. While many new items for babies are knitted and crocheted, we also know that new parents and grandparents build amazing nursery furniture, design spectacular home decor and sew beautiful outfits. Plus there are all the crafts made by sisters, brothers, aunts, uncles, cousins and friends. To get needle crafters inspired, Red Heart Yarns is giving away a $50 prize pack (which is a lot of material). Each action counts as a separate entry. You can tweet a message about the giveaway once a day. You have until November 21, 2016, to enter. Once again, you have until November 21, 2016 to enter. Want to check out other contests and giveaways? See Contests.about.com.